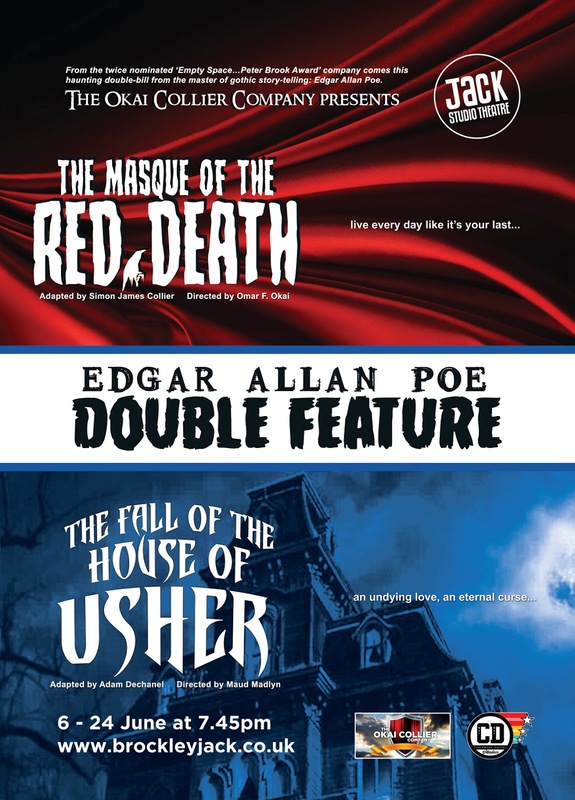 Writer Adam Dechanel took time out of his busy schedule to answer a few questions about The Fall Of The House Of Usher. I had written reworkings of The Jungle Book, Dorian Gray, Frankenstein & Jekyll & Hyde. I'd say 'storyteller' is my role and this was indeed a challenge. Simon's writing style is vastly different from my own. To tackle not just our styles but the vastly different plays, we worked together to make one play the reason for the other. To ensure we could create that bond between two plays on a script level we went back to the original writings, listened to the radio plays and watched the films that had been made across the decades. Each take was unique and we incorporated many elements... but our idea of a link that bridges the pieces made them work as one something that had never been done before. Roderick has THE best lines, he steals the show to be honest. I think the audience will have a tough time figuring him out. Then again I love Winthrop, he's thrust into this world of Poe's design and he's completely bewildered by it but determined to stay true to himself and his hearts desire. If I really have to choose... I'm going to have to say Roderick, simply because he will keep you guessing. I have to say Usher simply because it is something completely new. It isn't a dying man dictating his last moments to an old acquaintance any more. With the addition of Red Death and what the entire team have done, it has become a completely different animal while staying true to Poe's roots. Am I allowed to say? OK, The Time Machine! I can't say more just yet or I'll spoil it!